Antonietta Collins is a Mexican-American sportscaster who works for ESPN as a news anchor for SportsCenter. 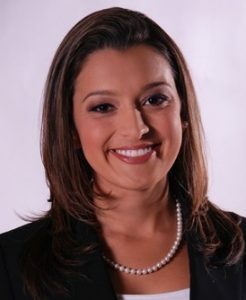 Prior to joining ESPN, Collins worked as a sports anchor for Univision Deportes’ morning show Despierta America, as well as for the network’s magazine show Primer impacto. She served the same role for UniMas Network’s Contacto Deportivo, its flagship sports highlights and analysis daily program. Born Antonietta González-Collins on November 22, 1985 in Mexico City, Mexico, she is the daughter of award-winning journalist and television reporter María Antonieta Collins. She attended St. Brendan High School and studied communications at the University of Mount Union. She began playing soccer at age ten and spent two years with the U19 Mexican national team. She joined ESPN in September 2013. *She was born on November 22, 1985 in Mexico City, Mexico. *She is the daughter of the television reporter and journalist María Antonieta Collins. *She has dual citizenship of American and Mexican. *She has a dog named Nolan.